Aloe Barbadensis (Aloe Vera) Leaf Juice, SD Alcohol 40-B, Caprylic/Capric Triglyceride, Glycerin, Propanediol, Butyrospermum Parkii (Shea) Butter, Menthol, Menthone Glycerin Acetal, Polyglyceryl-4 Laurate/Succinate, Mentha Viridis (Spearmint) Leaf Oil, Caprylhydroxamic Acid, Astrocaryum Murumuru (Murumuru) Seed Butter, Polyglyceryl-4 Caprylate/Caprate, Polyglyceryl-4 Laurate/Sebacate, Prunus Amygdalus Dulcis (Sweet Almont) Oil, Mentha Piperita (Peppermint) Oil, Glyceryl Caprylate, Acrylates/C10-30 Alkyl Acrylate Crosspolymer, Parfum (Fragrance)*, Aesculus Hippocastanum (Horse Chestnut) Extract, Arnica Montana (Arnica) Flower Extract, Chamomilla Recutita (Chamomile) Flower Extract, Ficus Carica (Fig) Fruit Extract, Vaccinium Macrocarpon (Cranberry) Fruit Extract, Equisetum Arvense (Horsetail) Extract, Citrus Limon (Lemon) Peel Oil, Mentha Arvensis (Wild Mint) Leaf Oil, Lavandula Hybrida (Lavandin) Oil, Cupressus Sempervirens (Cypress) Oil, Cistus Ladaniferus (Rockrose) Oil, Sodium Hydroxide, Linalool, Limonene. *Blend of essential oils. By far the best of the best. Worth the money. Your skin will fill so invigorated after the work out!!! I've suffered with a sore neck and shoulders for some time and this is just what I've been looking for! It smells amazing and does exactly what it says. I've also been using this whenever I'm feeling achey not just after the gym! 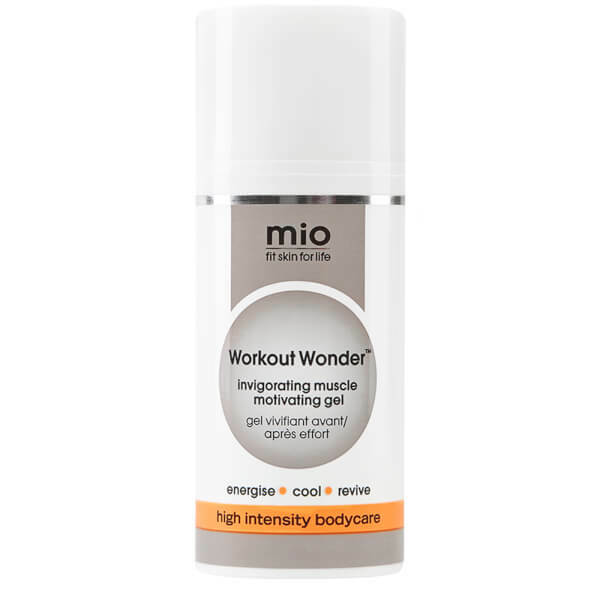 Finally so refreshing to actually find a post workout moisturiser that makes my skin tingle and actually works! My gym bag is never without the workout wonder anymore - super moisturising and soaks right into the skin straight away! Non-greasy formula so I can get changed straight away too. This is a must-have if, like me, you suffer from aching muscles after even the lightest exercise. Really rejuvenating - almost leaves me ready to go straight back into the gym... almost! 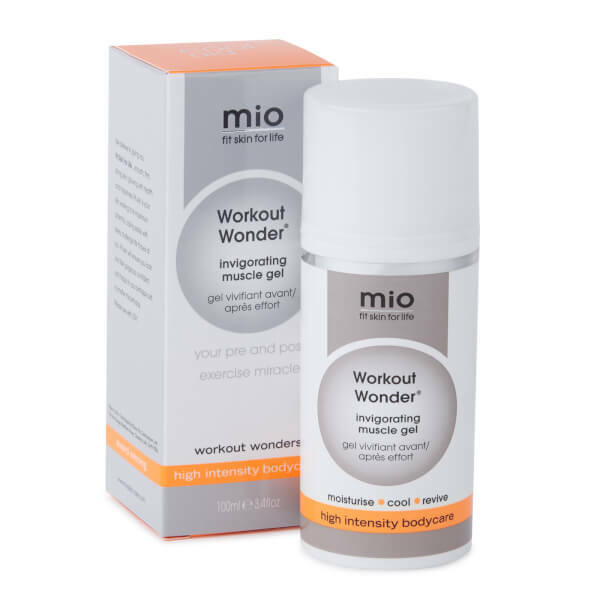 This gel really is a wonder, amazing for all muscle aches and pains as well as after workout. The cooling effect is wonderful. Awesome product. I cannot write enough good words about this product. Where there is a pain, put some on the muscle and it diminishes and usually disappears. It lasts for 6 hours on me! I have shared with friends and they love it as well. If you have soreness from shoulder or neck strain, it is wonderful. It is great for one's back muscles. I have even used it on my hands when my hands hurt from excess computer work or yard work. I keep one in the car, by my bed, and at the office. Once you try it you will find you always have an extra on hand. As a cyclist, I found it was helpful when I was sore after a long ride. Now I use it as a preventative to prevent the soreness from starting and it works. I feel much better that day and I do not have soreness the next day. It is a great product. This works great on sore muscles, I use it everyday after my workouts. It has a cooling effect which soothes the muscles. I love this product! It's a great post-workout cream that really helps cool muscles. Definitely helps with soreness and contains great ingredients. This product is absolutely amazing. I wish I had known about it sooner. I use on my hips, knees, and legs before and after each run. Immediate cooling sensation. This stuff really works. Thank goodness. What's better than a product that works and leaves out the "bad stuff" (thank you No Nasties policy!). So glad that I no longer leave the gym or track feeling like I was beat down on. This will forever be a gym bag staple. LOVE! Love! love! It works well and moisturizes very well. It's not flaky when I need to put sun screen on top. I like it!